"I'd want you to help me win a war..."
After discovering the shocking secret buried deep within The Green, Violet has a grave decision to make. Trust the woman who saved her, or not? So far, everything about the woman has taken Violet by surprise. Her behavior has been honest and upfront - a refreshing change for Violet. Besides, with one of her loved ones hanging on life support, and the other close to falling completely out of reach, Violet doesn't exactly have a lot of choice. Her only way forward is to embark on a dicey excursion. For this, she knows she needs the Liberators' help - and must be prepared to take whatever risks that comes with. 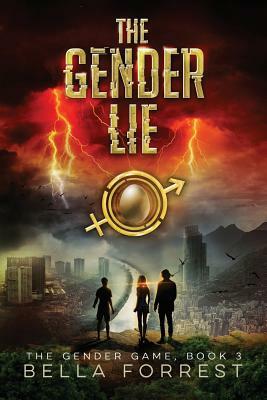 Continue Violet and Viggo's journey in the EXPLOSIVE third book of the bestselling The Gender Game series.